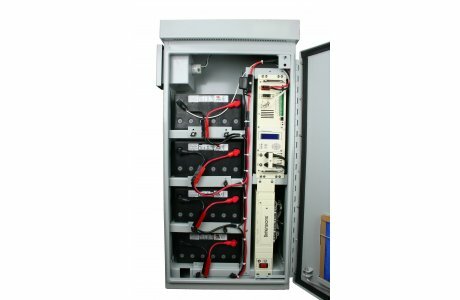 In addition to standard designs, Southern works with various UPS manufacturers and end use customers to engineer specific custom solution. For example, Washington, DC was looking to add UPS to traffic controllers at key intersections. Anyone who has ever been to Washington, knows that the sidewalks are heavily traveled, so it was critical to minimize the footprint of the enclosure. Using sophisticated 3D modeling in Solidworks, Southern was able to design a solution that housed four batteries and the inverter that was only 10" deep by 20" wide. 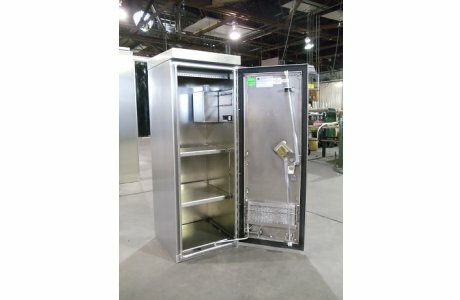 This cabinet was designed to mount onto a 334 traffic cabinet built by others and painted to match. 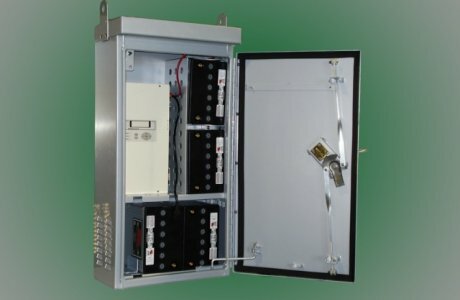 In addition to UPS enclosures, we offer a line of base extenders (risers) with shelves that can be used to store batteries without taking up space within the traffic cabinet. Surely, we can engineer a solution for you.